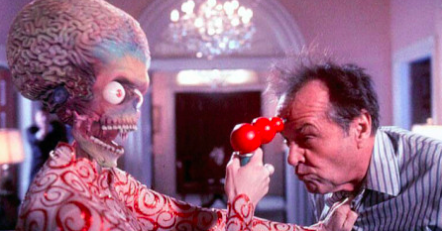 “Mars Attacks” was a movie that was exactly 20 years ahead of it’s time. The entire movie is ABT structured — “The Martians land AND they seem to have come in peace, BUT then they start slaughtering everyone THEREFORE basically beware of the Greeks and their damn wooden horse gifts.” The ABT is the fundamental template of narrative and consists of three forces — agreement, contradiction, consequence. Last week Trump was pure agreement in meeting with Obama. Do you kinda think there might be some contradiction coming soon? Better start getting ready because I don’t think the consequence that will follow is gonna be pretty. TIME FOR A LITTLE BIPARTISAN EFFORT! Hate to be a skeptic, but all I could see last week was Trump’s deep, deep narrative intuition at work as he sat there with his new buddy President Obama. That day will come to be known as the AND phase of Trump’s post-election process. I would expect nothing other than that from the man given his deep narrative intuition. But I also know what’s coming — the BUT phase (contradiction). Which will then be followed by the THEREFORE (consequence). It’s coming. You can see it play out in a movie from 20 years ago, “Mars Attacks,” which was all I kept thinking about last week as the post-election olive branches came out. Trump has narrative intuition. 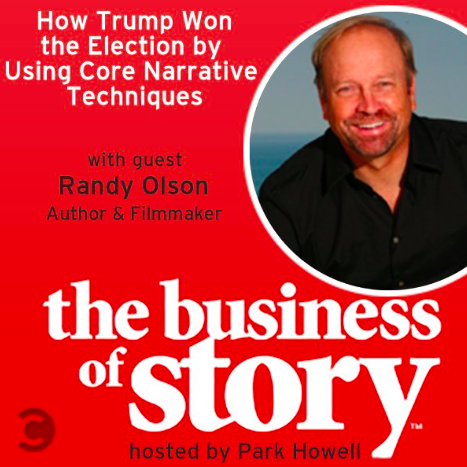 I did this podcast the morning after the election with my buddy Park Howell for his Business of Story series. To put it in terms of the Dobzhansky Template (see my last book for details), it’s like this: Nothing in our near future is going to make sense except in the light of Donald Trump’s deep narrative intuition. My advice: Keep your eye on the narrative. MY PODCAST THE DAY AFTER THE ELECTION WITH PARK HOWELL, APPLYING NARRATIVE ANALYSIS TO WHAT HAPPENED.